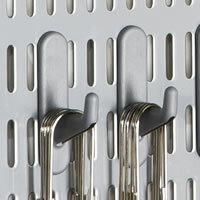 Our narrow perforated strip board offers a great way to get the storage benefits of the Elfa craft and tool boards while taking up less than half the space. 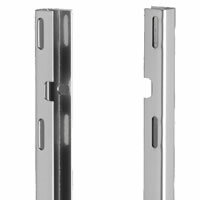 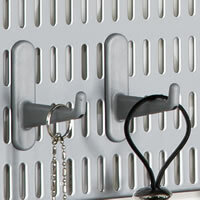 Simply screw directly onto our board mounts (found on the links below) and add tool hooks and storage boxes to suit OR (as shown) if you're creating a wider Elfa storage solution it can be clipped between two of our various lengths of Traditional Elfa Uprights allowing you to fix more than one storage strip to the wall. 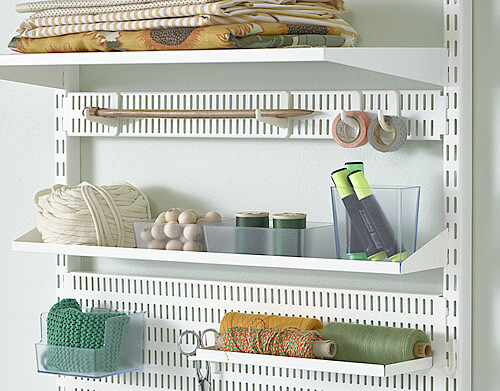 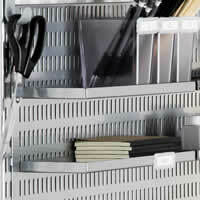 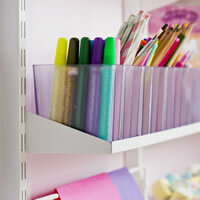 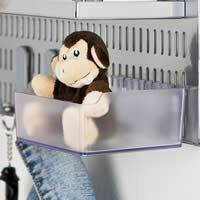 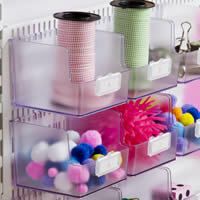 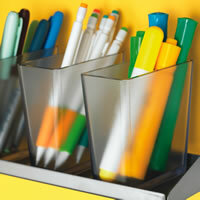 Clip on storage boxes, hooks and trays to address your specific storage needs.